The living room is probably the most treasured room in the home which can reflect the personality of the house. The living room’s purpose is to invite, offer comfort, and stimulate conversation, but also to aid relaxation in your own living space too. The addition of quality handmade beautiful furniture will enhance the mood of your room. 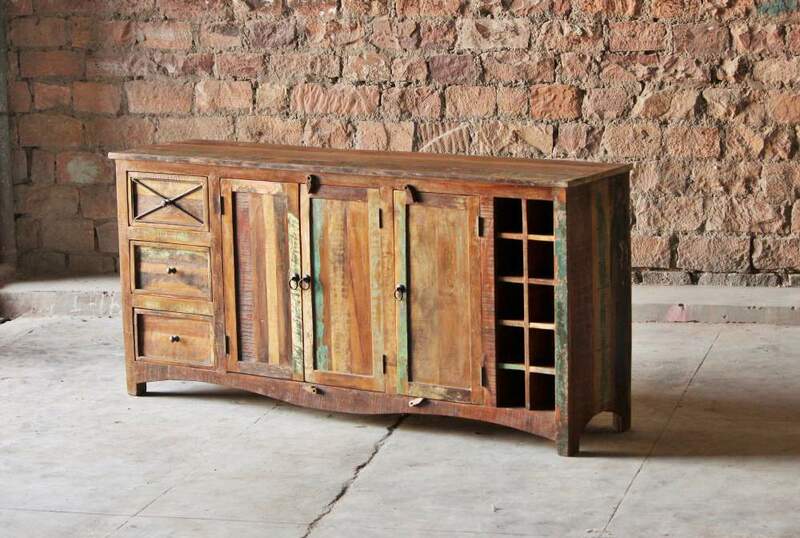 Handmade from reclaimed wood, this Riya Sideboard and Wine Rack is certain to be an eye-catching feature in any room. 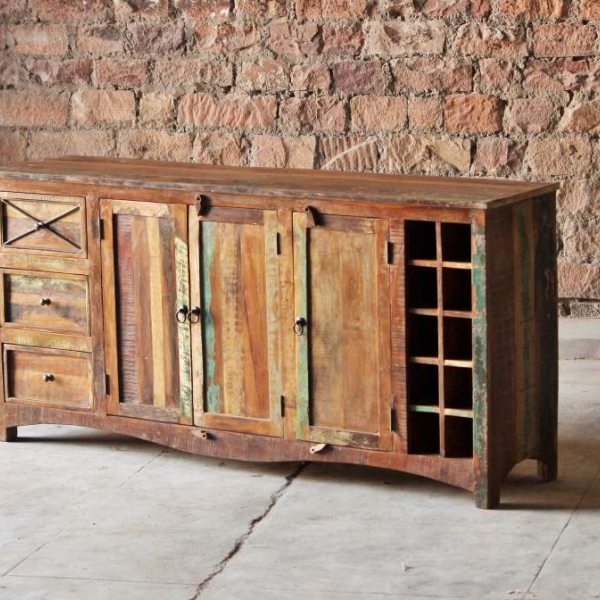 The wood used to create this stunning piece of furniture comes from fishing boats and driftwood we have sourced in India. 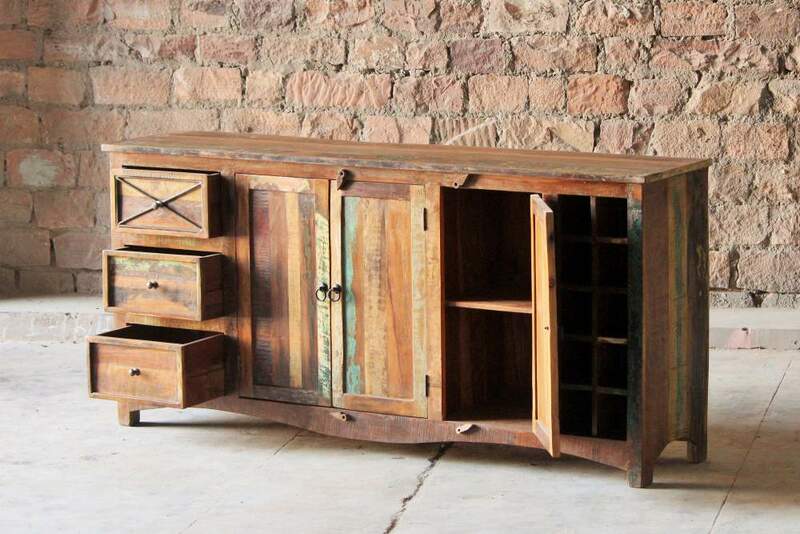 Our expert craftsmen have upcycled the wood into this top quality sideboard that you will be able to enjoy for generations. Our Riya Sideboard and Wine Rack offer great storage potential with three drawers, cupboards with internal shelving and not to forget, the “all essential” wine rack! At Little Tree Furniture we pride ourselves at making beautiful furniture that does not only look good in your home, it’s also good for the environment. 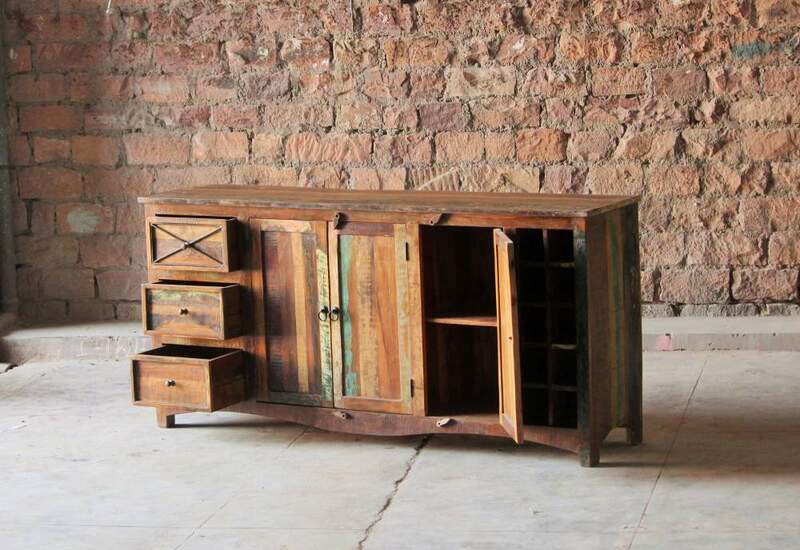 Every Riya Sideboard and Wine Rack we make will be slightly different in colour due to the wood we use, so when buying this furniture you get a truly unique item!